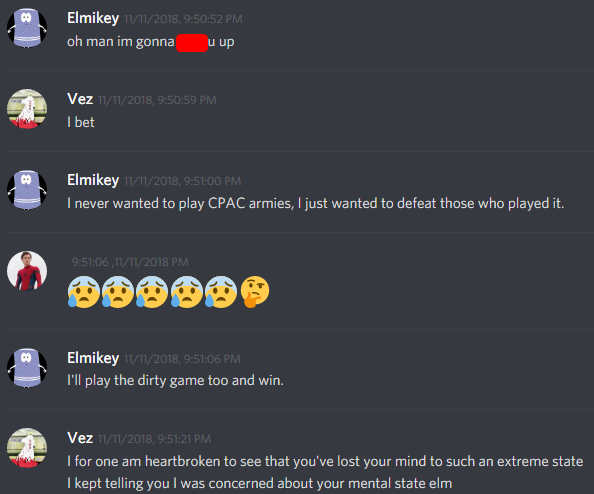 Reader’s note: Elmikey makes the claim here that I am under the control of a person named “Security”, a well known hacker in the army/CPPS community. This is a lie. Though I have had contact with him in the past, I am not under the control of him. He, like Elmikey, does not threaten me or impact my decisions in any way whatsoever. In order for this army to remain stable, I cannot allow anyone to do any such thing. It’s gonna take a much bigger man than 5’1″ Elmikey to take me or this army down. 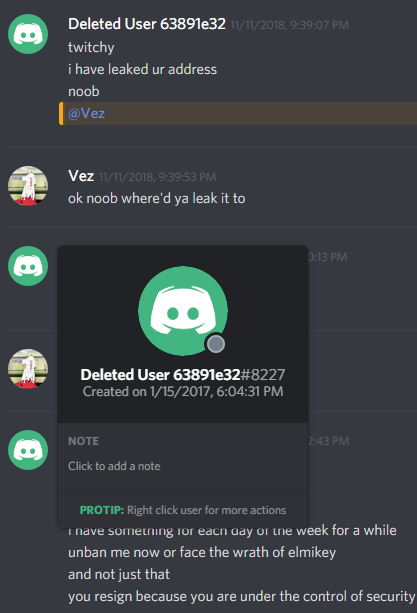 Elmikey has deleted his Discord account as an attempt to mask the fact that this is really him. Do not be fooled. 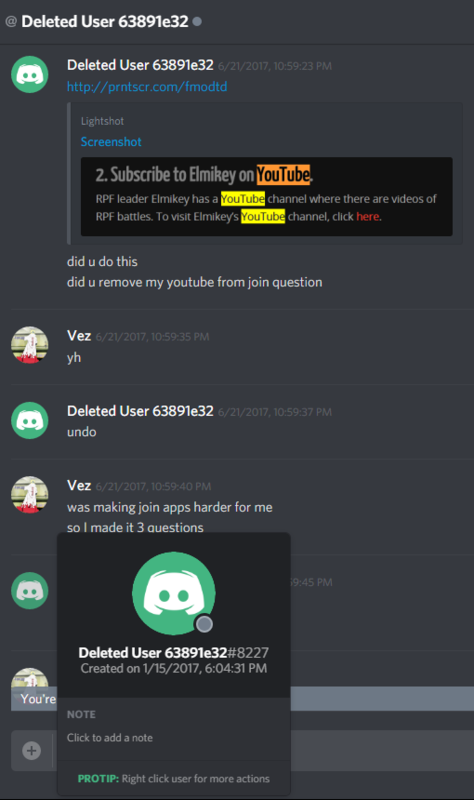 Elmikey either undeleted is account, or he only pretended to deleted it in the first place. He changed his name back to normal, but his icon is now trollface. 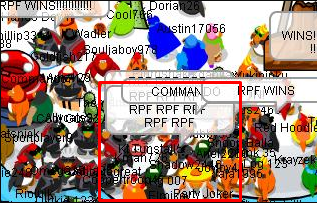 I’m adding mobile screenshots to prove they aren’t edited. 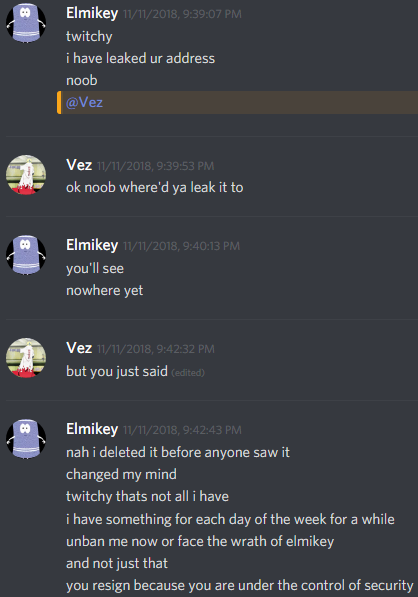 Elmikey DMed me later that night to give me what I assume was his version of an apology. He seems to regret his decision to threaten me and the Rebel Federation, but I don’t think I’ll be giving him another chance. If you have any questions regarding our conversation, feel free to ask in the comments or DM me directly. Goodbye again Noob! I think you need to go get some help!